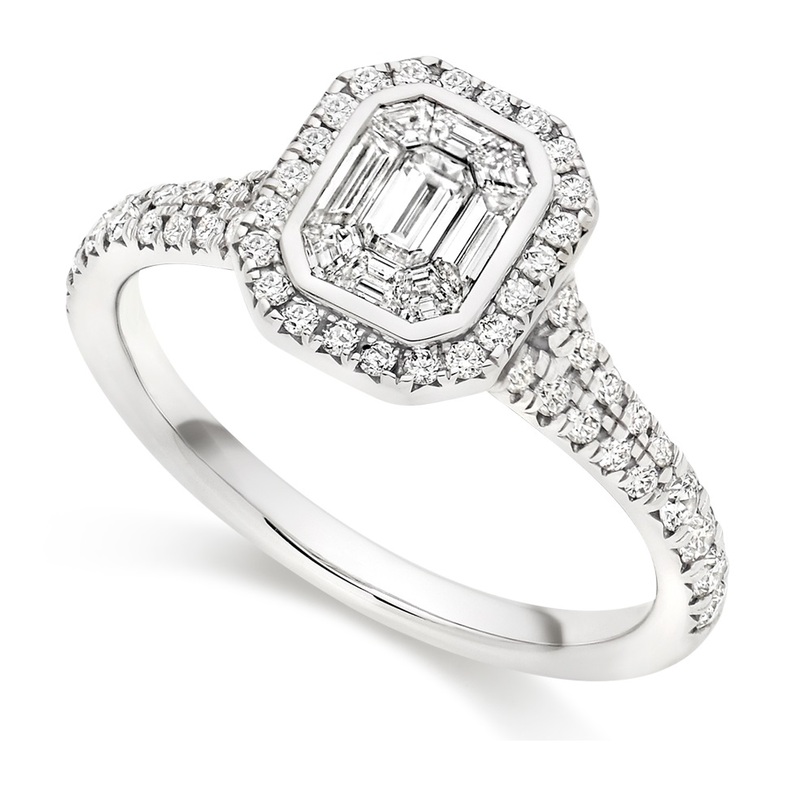 At Michael Matthews we know that creating that prefect engagement ring for your loved one, can be overwhelming. Let us help you through the process with knowledgeable staff, who can talk you through all your options and help you to create something truly unique and beautiful. Although we keep a large stock of rings in our showrooms, we are able to tailor each ring to your tastes and budget. Below are a few things you may wish to consider when you come into see us. The centre stone is surrounded by smaller stones (Halo). Diamonds are also used on the sides of the mount (Diamond Shoulders). The centre stone is surrounded by smaller stones (Halo). The shoulders on the ring are left plain. A single diamond is used as the centre piece (Solitaire). Diamonds are used on the sides of the mount (Diamond Shoulders). A classic design featuring a single diamond and plain shoulders. A symbolic setting which involves three main stones. These can symbolise past, present, and the future or even the Holy Trinity; the Father, the Son, and the Holy Ghost. Multiple stones are used in a way where the setting of the stones appear invisible. Depending on the mount you have chosen you will be asked what material you like your ring made out of. Things to consider –personal taste (what does he or she prefer), durability and budget. Platinum is a naturally white metal with a cool lustre that showcases the brilliance and sparkle of diamonds beautifully. It’s is considered the most precious of all jewellery metals. Yellow gold Classic yet fashionable, yellow gold achieves its warm patina from the red of copper and the green hue of silver. Yellow gold lost favour to white gold for a while, but has recently regained popularity. White gold More contemporary than yellow gold, white gold gets its silvery white character from combining yellow gold with copper, zinc and nickel (or palladium). It’s plated with a hard element called rhodium (a platinum group metal), which costs about four times as much as platinum, resists scratches and tarnishing, and gives white gold a reflective appearance. Rose gold Unique and romantic, rose gold has a warm, pink hue created by combining yellow gold with a copper alloy. The overall percentages of metal alloys are the same for rose gold as they are for yellow or white; it’s just a different mixture of alloys used. Gold is an extremely versatile metal, and the most common choice for jewellery. The standard measurement of gold is a carat, which is divided into 24 parts. Pure gold is 24 carats, meaning 24 out of 24 parts are gold.